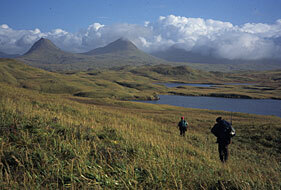 Alaska’s vast land and water resources, and diverse habitats support healthy and abundant fish and wildlife. Responsible use and development of our lands and waters is important to Alaska’s economy and culture. Maintaining healthy watersheds, forests, tundra, wetlands, and marine waters helps ensure that the state’s diverse fish and wildlife resources are sustained. Working to ensure access to fishing and hunting opportunities. 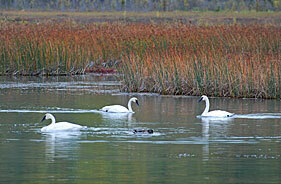 Wildlife Refuges, Critical Habitat Areas, and Sanctuaries. How landscapes support fish and wildlife populations. Managing the impacts of human activities on habitat. View and download spatial data. 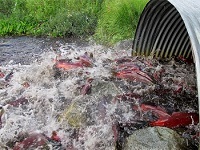 Improving habitat for fish and wildlife.